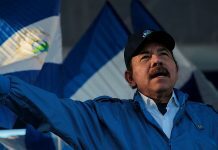 (QNICARAGUA) World Bank Report – Nicaragua is what many experts call a paradise of renewable energies. The country has extensive geothermic resources––resulting from its large volcanic chain and seismic activity––with excellent exposure to the wind and sun and a variety of water sources. In 2006, this scenario led the Nicaraguan government to address the need to change its electrical grid. With the government’s openness toward private investment, 58% of the country’s energy is currently produced by renewable sources whereas the remaining 42% comes from oil-based bunker fuel, according to estimates of the Nicaraguan Ministry of Energy and Mines (MEM). 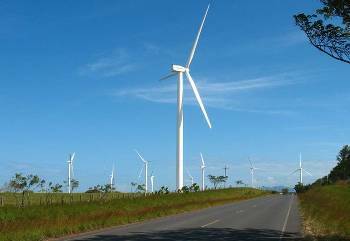 In the region, Nicaragua is second only to Costa Rica in terms of the share–– 21%––of renewable, non-hydraulic energy in the region. The energy output of its geothermic resources is considered the best in Central America, with estimated potential reserves of 1,500 MW (in addition to the country’s energy system capacity, which is 1,300 MW). However, just 154 MW have been installed by the country’s power plants, Polaris and Momotombo. Imagine large water reservoirs hundreds of kilometers deep that come into contact with magma. The resulting steam produced needs to escape, for which reason one can see large columns of steam shooting skyward in some areas. Geothermic plants channel that steam to generators and when the water cools it returns to the depths. That is why it is an inexhaustible source of clean energy. According to World Bank experts, geothermal energy can be a relatively inexpensive source of electricity, especially compared with fossil fuels. “The generation of this type of energy is not only important for its positive effects on the economy, but also for its reduction of GEI emissions by almost 80,000 tons,” said Hasan Tuluy, World Bank vice-president for Latin America and the Caribbean, during a visit to the Polaris plant on October 22. “This project will mean a savings of $88 million for the country through the reduction in oil imports. We will substitute the bunker fuel consumed in Nicaragua with clean, renewable energy,” said Alejandro Arguello, head of corporate development at Polaris, during the visit. With the idea that the Polaris power plant in San Jacinto, in León, will supply nearly 20% of Nicaragua’s energy needs, the International Finance Corporation (IFC) partially financed the $450 million, 72MW plant. On the banks of Lake Cocibolca, in Rivas, is the country’s third wind plant, Eolo. This month, thanks to a $110 million investment, 22 wind turbines will officially begin operation, providing an additional 44MW of energy to the national network. It is estimated that Eolo will not require any fossil fuel supply.